Vodafone India has rolled out exciting cashback offer of up to Rs 2200 on select entry-level Micromax 4G smartphones. In a move to accelerate adoption of 4G smartphones at the entry level, Vodafone India has extended its association with Micromax. As a part of this association, Vodafone has rolled out a few cashback offers on the entire range of entry-level Micromax 4G smartphone models. Under this new offer, existing and new Vodafone customers can purchase any of the popular Micromax smartphones. The list includes the smartphones- the Bharat 2 Plus, the Bharat 3, the Bharat 4 and the Canvas 1. For the unaware, Vodafone has partnered with Micromax earlier this month and announced a smartphone called Bharat 2 Ultra. This offer from Vodafone is similar to Airtel’s partnership with Karbonn and Celkon. Under the offer, customers have to purchase any of the smartphones mentioned above to get a fixed amount of cashback after 36 months, which brings down the effective price of the phones to a much lower price. In order to avail this special offer, a customer with any of the smartphones mentioned above has to a recharge worth of a least Rs 150 per month for 36 months. Recharges can be of any denomination totalling to minimum Rs 150 per month. At end of first 18 months, users will then receive a cashback of Rs 900. After another 18 months, users receive another Rs 1300 of cashback. The cash back will be credited to their Vodafone M-Pesa wallets. 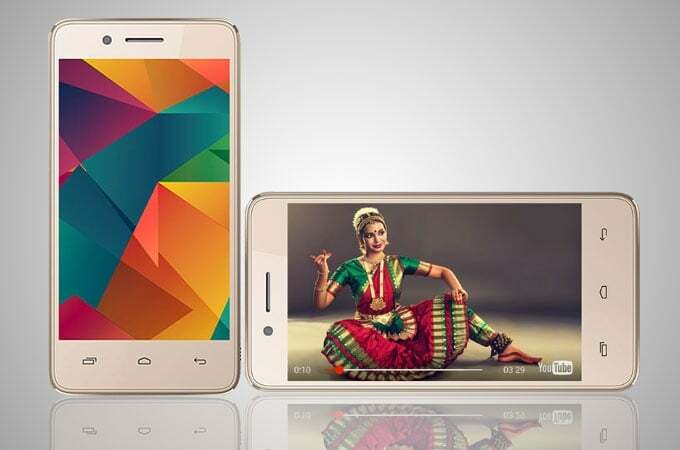 After a cashback of Rs 2200, the Bharat 2 Plus smartphone will cost users just Rs 1549. The phone originally sells at Rs 3749. The Bharat 3 will come at an effective price of Rs 2299, Bharat 4 at Rs 2799 and Canvas-1 at Rs 3799. In addition, Vodafone and Micromax have also introduced a new 4G smartphone with Vodafone SuperNet 4G connection for just Rs.999. Dubbed as India’s lowest priced 4G smartphone, the Bharat 2 Ultra smartphone aimed at bringing all the feature phone users to get a smartphone. The phone originally costs Rs 2899, but following the same cashback offer, the company will later refund Rs 1,999 after a period of 3 years. It all started with Reliance Jio when it launched an effectively priced Reliance JioPhone at Rs 0.
what an irony. Jio giving cashback for Xiaomi and Vodafone giving cashback for Micromax.